aluminium Alloy 5754 marine grade aluminum plate sheet has excellent corrosion resistance especially to seawater and industriallypolluted atmospheres. It has higher strength than 5251. This high strength makes 5754 highly suited to marine applications requiring a combination of strength and resistance to corrosion in sea water. Aluminium Alloy 5754 marine grade aluminum plate sheet is typically used in shipbuilding, marine applications, finishing industry equipment. Applications: Aluminum is the material of first selection of designers in high-speed ship, such as express ferries, LNG spherical tank type fluid reservoirs, hydrofoils, offshore working ships and yachts, and is widely used to shipboards, bottom plating, portholes, carrier plates and side plates of ship containers, etc. Product Features: Long width, anti-corrosion, small elastic modulus, easy to welding, easy processing, without low temperature brittleness as well as non-magnetic. 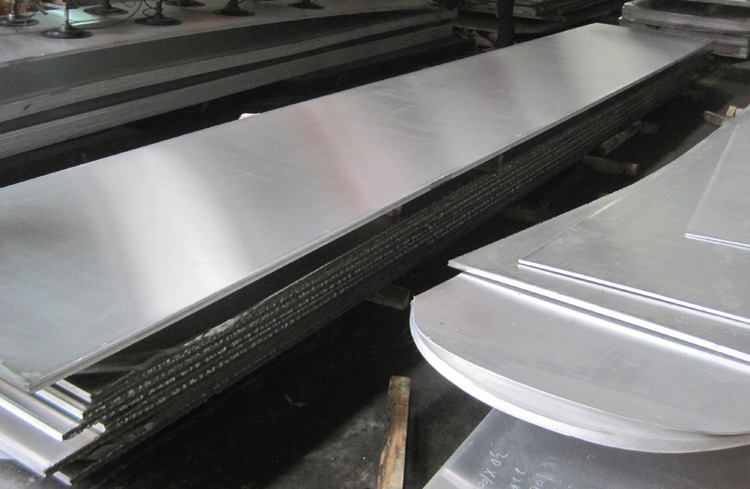 The 5754 aluminum alloy plate with moderate strength, excellent processing performance, good corrosion resistance, weldability and easy processing characteristics, is a typical alloy of Al Mg alloy. 5754 Aluminum Alloy plates of different heat treatment condition is the automobile manufacturing industry (car door, mould, seals), main materials used for canning industry. This entry was posted in Aluminum Sheet and tagged 5754 marine grade aluminum plate sheet. Bookmark the permalink.